Are GWS the Sleeping Giants of AFL Football ? 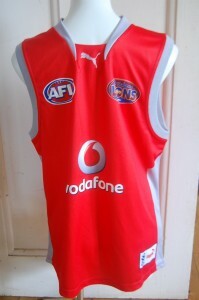 GWS , the new team to join the AFL in 2012 , will be a strong competitor in the 2012 Home and Away Season . Although recycled coaches are currently out of fashion , the head and assistant coach of GWS , Kevin Sheedy and Mark Williams respectively , offer much . Both are experienced ex- players , are winning Premiership coaches , have been keen recruiters of new talent , and are shrewd businessmen . Combine these attributes with those of Stephen Silvangi , arguably one of the best defenders to pull on a guernsey , and they represent a formidable brains trust . 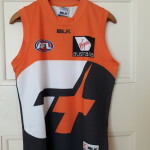 Is it a coincidence or a clever marketing ploy that the GWS Giants are wearing the orange black and white colours of their football jumpers , jerseys , guernseys ? These colours are the same as those of the other team from the West of Sydney , the NRL Wests Tigers side , who already have a strong fan base in the region . 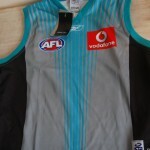 Fans wearing their new GWS Football Jumpers , Jerseys , Guernseys , are clamouring for an action packed year supporting their new team the Greater Western Sydney Giants in 2012 . 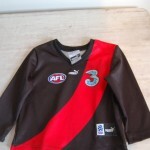 Posted in AFL, football jumpers, NRL | Comments Off on Are GWS the Sleeping Giants of AFL Football ? Football Jumpers in October ? We have just witnessed an historic , AFL Grand Final , in October . The first ever , and it certainly won't be the last, as more teams , join the competition . A Gold Coast Suns team, starts in 2011 , and GWS begin in 2012 . This will necessitate , in the playing season , being lengthened . It is Spring in the Southern Hemisphere , and daylight saving has begun , in many of the Australian states , and Territories. Spring typifies warm days , and balmy nights , with more daylight , and sunshine , to shine on us, mere mortals . With this lightening of our souls , in the face of glorious weather, will we pack away our much loved , football jumper , jersey , guernsey ? No need . 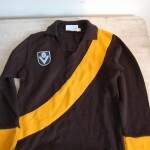 The fabric of modern football jumpers , jerseys , guernseys, is such that it breathes with you , absorbs sweat , is lightweight , highly portable ,and is aerodynamically designed , to mould to the body, like a second skin, making it supremely comfortable. 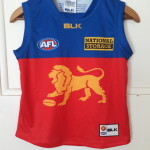 Wear your football jumper , jersey , guernsey now . We don't care that its October . Let get in early for next Season , and prepare for success . 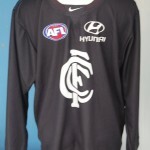 Posted in AFL, football jumpers, NRL | Comments Off on Football Jumpers in October ?